Prospective authors are kindly invited to submit full text papers including results, tables, figures and references. Full text papers (.pdf) will be accepted via iConference submission system or email. Notes: All submitted papers need to be original, must not be previously published or accepted for publication elsewhere, must not be under review by any other conference or publication during the review cycle. All submitted papers will go through a double-blind reviewing process by at least two reviewers drawn from the technical committees, also if you don't want do publish any paper, you are welcome to join us as presenter, listener, etc. Submissions will be reviewed by conference committees, and accepted papers will be published in the conference proceedings, which will be indexed by EI Compendex, Scopus, etc. Please follow the Paper Template when preparing your paper. 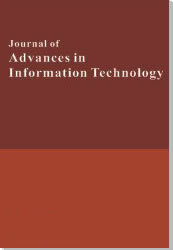 Submissions will be reviewed by both the conference committees and JAIT editorial board, and accepted papers will be published in the Journal of Advances in Information Technology as a special issue, which will be indexed by INSPEC; EBSCO; ULRICH's Periodicals Directory; WorldCat; CrossRef, etc. Please download the JAIT Template. Full papers should be with at least 4 pages. Each registration covers 5 pages for publication in proceedings, while for publication in JAIT, no additional charge for extra pages.